Targeted agents may be given in combination with other targeted agents, or they may be given in combination with, or following, systemic chemotherapy and/or radiation therapy. Combining immunotherapeutic agents that target different methods of tumor cell immune evasion can enhance a patient’s treatment response by turning patients who have not responded to a specific treatment into responders through increased recruitment of and infiltration by T cells. 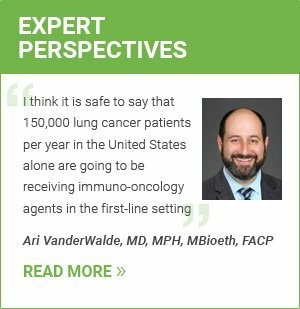 Combination therapy with PD-1 and CTLA-4 inhibitors, for example, has shown increased efficacy in phase III trials, including in treatment-naïve patients, illustrating a role for combination immunotherapy in patients who have progressed following treatment as well as those who have not yet received treatment. While an increase in progression free survival has been demonstrated in these trials, combination therapy may come with an increased risk of adverse events. Morganna Freeman, DO, FACP, describes various combination therapies used in conjunction with checkpoint inhibitors. 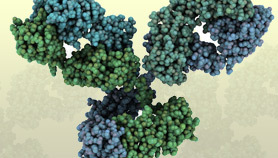 an anti-VEGF agent, or a BRAF, anaplastic lymphoma kinase or epidermal growth factor receptor inhibitor, if the cancer is known to be positive for a specific genetic mutation. This approach allows for treatment of the specific genetic mutation while also increasing the antitumor immune response. Also, in addition to inhibiting molecular pathways, some targeted agents have immunomodulatory effects, including T cell priming, boosting T cell activation, and augmentation of tumor antigen presentation; this may increase efficacy when given in combination with immunotherapeutic agents. Immunotherapeutic agents also may be given in combination with systemic chemotherapy. For example, a PD pathway inhibitor may be given in combination with a platinum-based chemotherapeutic agent or with cyclophosphamide or paclitaxel, depending on the cancer being treated. These combinations are most often given in cases of advanced or metastatic disease, mounting both an immune-specific defense and a general cytotoxic one . These drugs also work synergistically, as cytotoxic agents cause the release of antigens from tumor cells, priming the immune response. Results of one phase II trial illustrated this response, with significantly improved progression-free survival in patients who received immunotherapy after chemotherapy in a so-called “phased” regimen. Immunotherapy may also be given in combination with radiotherapy. It has been hypothesized that radiotherapy may increase the immune antitumor response via the release of tumor antigens from dying tumor cells that have been targeted by radiation; these tumor antigens then prime the immune system to mount a response specific to the antigen. Essentially, local radiotherapy disrupts the immunosuppressive tumor microenvironment. This mechanism is also thought to be responsible for tumor regression in distant metastases after localized radiation treatment in what is called the abscopal effect. The addition of an immunotherapeutic agent adds an additional boost to the antitumor response. Morganna Freeman, DO, FACP, discusses how oncologists should talk to patients about the differences between immunotherapy vs. chemotherapy.